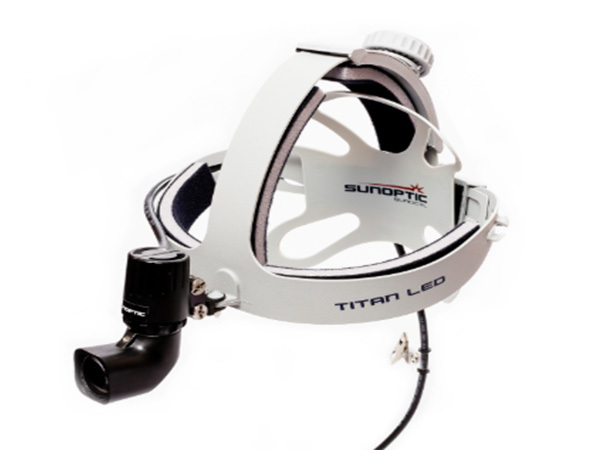 Sunoptics Surgical SSL-9500 LED Headlight delivers 70,000 LUX of bright white light needed for surgical procedures. The LED light provides the surgeon with a homogenous spot for true tissue colour recognition. The battery powered LED headlight offers the freedom from being tethered to a lightsource by a fibreoptic cable. The RCS headband and the lightweight LED module provide stability as well as comfort.